The European Commission has asked PwC to write a series of reports and case studies about innovative businesses and business models, which you can find on Business Innovation Observatory. 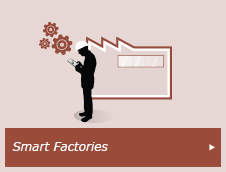 Two of these reports (Crowdsourced Manufacturing and Customer Incentives and Involvement) – based on research conducted by PwC’s consultants and interviews with CEOs and founders of innovative companies like Shapeways, Quirky or eYeka – talk about the trend of crowdsourcing, outline this trend’s drivers and obstacles, and formulate policy recommendations pertaining its development. Both prove to be very insightful when it comes to the future of crowdsourcing. The trends investigated this semester are Clean technologies (which refers to innovative products and services which leverage on the latest technological advancements to enable a more productive and responsible use of resources), Smart factories (which looks at how business and production processes are netting with one another, including crowdsourced manufacturing), and Customer experience (which tackles the trend of businesses having become increasingly interested in engaging customers in their product development proces, also through crowdsourcing.) The two former are the ones this blog post is about. Crowdsourced manufacturing, the process by which manufacturers complement and expand their processes with capabilities, tools, equipment and ideas from a large group of people rather than from their own employees or suppliers, covers various forms of interaction between manufacturers and communities of consumers, specialists and intermediaries. The other companies that are showcased (Quirky, Shapeways, Hypios, VehicleForge and InnogetCloud) are all offering innovative solutions to enable crowdsourced manufacturing, the common denominator being the way in which they leverage communication technology to spread the request for assistance around the world, and through which they manage to collect huge numbers of ideas and solutions. The report describes the mechanisms that these compenies, including eYeka, use and how that can benefit organizations in various forms. Interestingly, PwC also recommends to encourage crowdsourcing adoption with possible tax benefits for companies using it: “[Crowdsourcing] adoption could be increased by R&D tax breaks for users,” it is written in the report, and “It is also recommended that governments participate in crowdsourced manufacturing.” I wonder how that would be perceived by critics of crowdsourcing, particularly in France where even simple crowdsourcing company visits by public officials caused debate. The US, on their side, have embraced and been using crowdsourcing in the public sector for years already. This second case study looks at crowdsourcing in a different angle. Instead of looking at the trend of crowdsourcing from a production standpoint, it is looking at it from a consumer empowerment standpoint. “Customer incentives and involvement refers to methods and techniques applied by companies to engage customers in the development of new product,” the report explains. “By leveraging the creativity, insight and wit of customers, brands are attempting to better target and segment their audience in order to predict market demand and design their marketing campaigns accordingly.” Examples of such companies are Adpoints, KBHFF, Logograb, Sampleo, Stafinno and eYeka. PwC writes that customer involvement activities are a new form of how businesses interact with customers breaking with the traditional seller-buyer relationship, and that today’s companies are empowering their customers to reap the benefits from their experience, expertise, motivation and time to come up with data-driven market decisions. The key drivers are customers’ willingness to buying products according to their very personal preferences and their level of involvement in the development process, as well as the emergence of a collaborative business-customer relationship, which is reshaping user interaction with companies’ products and services. PwC explains that “the improvement of digital tools and crowdsourcing online platforms ” is a supplementary enabler. What are the challenges that PwC underlines for this trend? The critical barriers for enterprises to implement customer involvement processes are the challenge to attract capital for their growth phase, the lack of awareness about existing public support schemes and the need to widen the definition of “innovation.” The lack of education of the market on the benefits of customer-driven innovations appears as a major challenge for the uptake of the trend. The consulting firm formulates policy recommendations like a better access to finance for SMEs, a clearer communications on EU funds and the elaboration of an official definition for “innovation” as a term. Also, there needs to be better education of young people in order to avoid a talent shortage which would be harmful for these innovative companies: “It would be further recommended to create technological hubs, to address the shortage of IT professionals and to encourage the creation of more partnerships between SMEs and public institutions,” the firm says, acknowledging the usefulness of consumer (citizen) empowerment even for the public sector. The reports were commissioned to PwC Luxembourg by the European Commission, and mean to provide Europe’s policy makers with recommendations on how to apprehend this trend. The report’s content does not necessarily reflect the European Commission’s opinions or intentions, as it is being said at the beginning of the reports: “The views expressed in this report, as well as the information included in it, do not necessarily reflect the opinion or position of the European Commission and in no way commit the institution.” I think it’s important to note this to avoid misunderstandings or misinterpretations.